I was recently tasked with writing a Win32 DLL containing functionality to be used by Oracle procedures and functions via extproc. 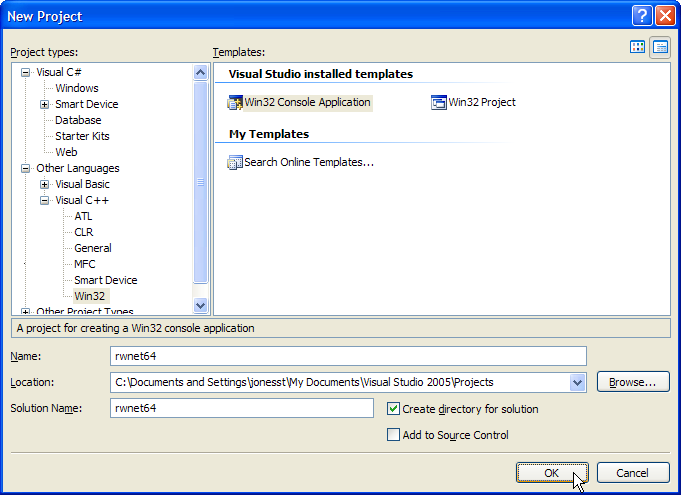 This post describes the steps required to achieve this using Microsoft Visual Studio 2005 and Oracle 10g. The highlighted block shows a default entry point for the DLL. This can be safely deleted. At this point the project should compile and we’re ready to add some code. The following is an example of a simple function. The important thing to note is the compiler directive __declspec(dllexport) which is required for extproc to load the DLL successfully. The project should compile. Build the DLL as a Release build (a Debug build won’t work with extproc), then copy it over to your Oracle server’s BIN or LIB folder. I’m going to assume that your instance of Oracle is already configured to use extproc, i.e. that listener.ora and tnsnames.ora have been set up correctly. I might come back and explain how to do this later, but in the meantime just Google for it. > create or replace library rwnet64 as 'e:\oracle\product\10.2.0\db_2\lib\rwnet64.dll; Library created. 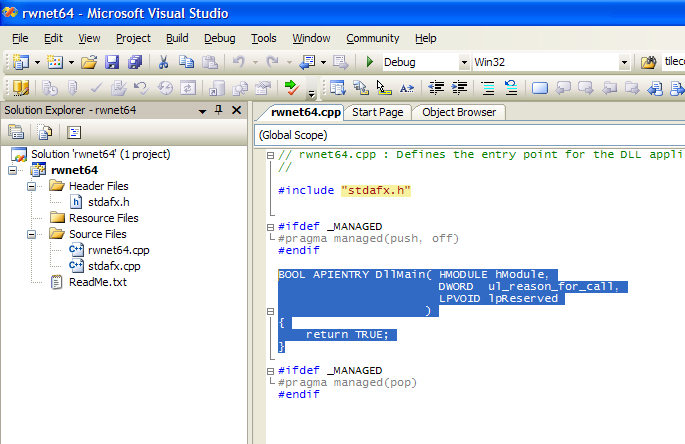 And that proves it: calling a function in a Win32 DLL written in C++ from a function in an Oracle package via extproc. 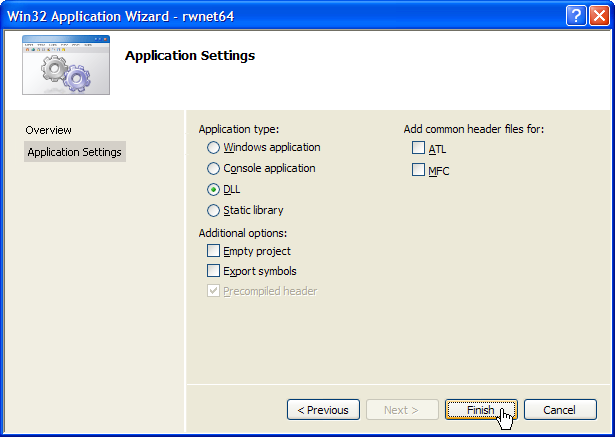 If you got this far you are now at liberty to create useful functionality in your DLL. One thing to watch out for is the choice of datatypes between the DLL and PL/SQL. This table is a useful starting point for ironing out any issues. 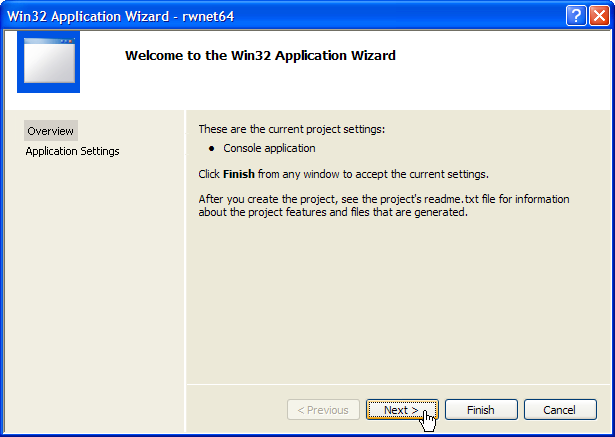 This entry was posted in Development, Oracle, Win32 and tagged c++, extproc, Oracle, visual studio, win32 dll by Stuart. Bookmark the permalink.